The ‘bomb cyclone’ or ‘snow hurricane’ – featuring a dramatic drop in atmospheric pressure when warm and cold air collided – has left the Maritimes and spared Southeast New Brunswick from the worst of its fury. While strong winds were a factor throughout the region, Greater Moncton received less snow compared to further north and west. To the south and east, more rain fell along with hurricane-force winds (up to 200 km/h gusts in western Cape Breton) which created powerful storm surges causing flooding along the coast. The storm may have departed but Arctic air has filtered back into the Maritimes which will mean a bitterly cold weekend. The parade of hurricanes in the Atlantic continues with Maria making landfall late tonight over the eastern Caribbean island nation of Dominica as a powerful category 5 storm packing sustained winds of 260 km/h. The U.S. National Hurricane Center is outlying a path for Maria which is eerily similar to the recent Hurricane Irma with the U.S and British Virgin Islands and Puerto Rico expected to be impacted on Wednesday. Maria will be accompanied by a dangerous storm surge and between 300-500 mm (12-20 inches) of rain to some of the islands causing life-threatening flash floods and mudslides. Meantime, Hurricane Jose is still churning northward as a category 1 storm with heavy surf and rip currents along the U.S East Coast from North Carolina to Massachusetts. Canadian forecasters say the remnants of Jose have already brought high humidity to the Maritimes and will give Nova Scotia persistent moisture and cloud cover as well as rough surf along the Atlantic coast. Irma was downgraded from a hurricane to a tropical storm today after slamming Florida with destructive wind, heavy rain, flash flooding, high storm surges and even tornadoes. Irma, one of the most powerful hurricanes ever recorded in the Atlantic Ocean, made landfall over the Florida Keys on Sunday before coming ashore near Naples and then heading up the state’s west coast. 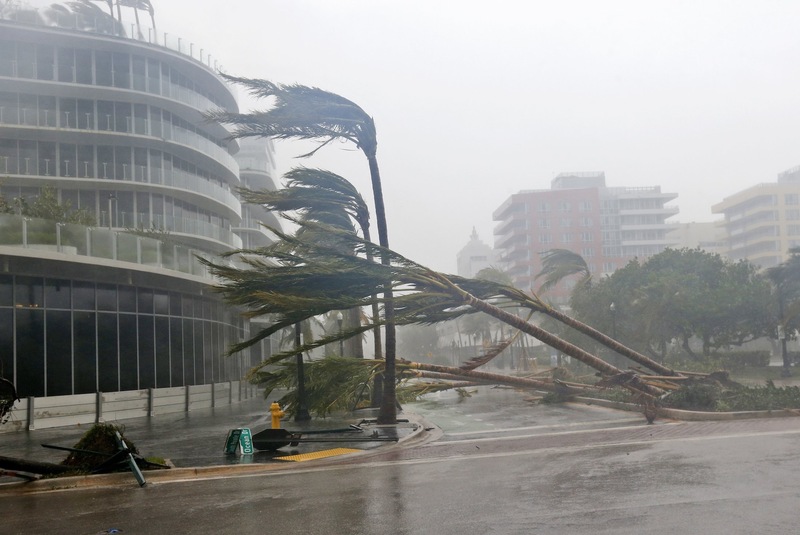 Miami was not in the storm’s direct path but was still battered by strong winds which swayed high rise buildings, brought down three construction cranes and downtown streets were swamped. In northeast Florida, Jacksonville had historic flooding after the swollen St. Johns River spilled its banks and officials said dangerous conditions were expected for several days. Prior to arriving in the United States, Irma claimed 10 lives in Cuba according to state media after battering Havana and tourist resorts such as Varadero and Cayo Coco where the international airport was destroyed. Forecasters say the Houston metropolitan area could receive more than 1000 mm of rain from the storm over the next few days which has claimed at least five lives. 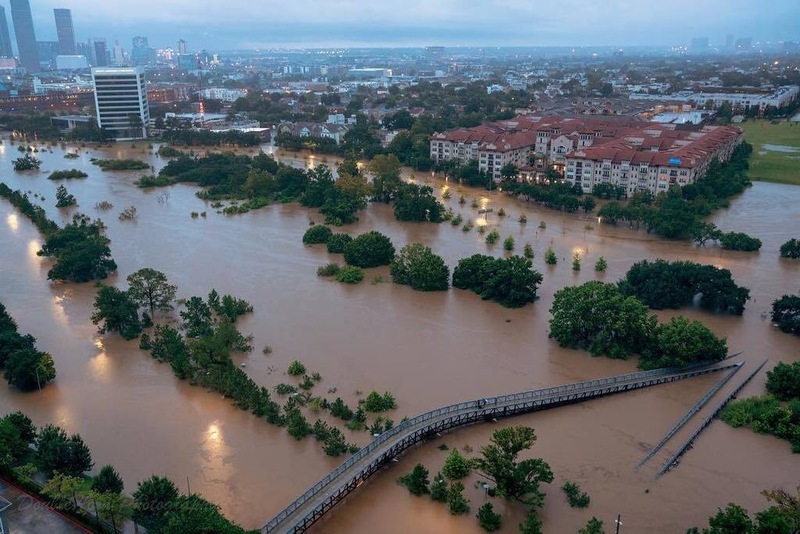 By early today, more than 600 mm had fallen in America’s fourth largest city overwhelming lakes and rivers forcing thousands of residents scrambling into boats or onto rooftops to safety. Tornado warnings have been lifted but a flash flood warning remains in place for much of southeastern Texas. Hurricane Earl weakened to a tropical storm early today after making landfall near Belize City, on the western Caribbean Sea. Wind speeds dropped to about 100 km/h as Earl moved inland. Belize was also forecast to receive between 200 and 400 mm of rain. The storm is predicted to move across northern Guatemala and southeastern Mexico where its rains could still cause flash floods and mudslides. Severe thunderstorms roll through central N.B. 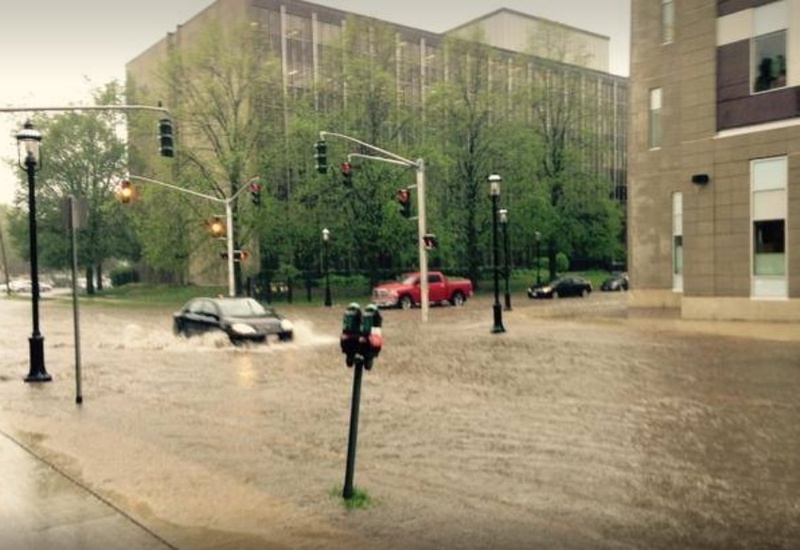 Severe thunderstorms brought strong winds, rain, hail and even flash flooding to downtown Fredericton during the afternoon rush hour yesterday. Environment Canada says between 25 and 40 mm of rain fell in only an hour and storm drains couldn’t keep up with the deluge which led to flooding on many city streets. Hundreds of lightning strikes and winds gusting up to 82 km/h brought branches and trees down on power lines with up to 10,000 outages reported at the storm’s peak. 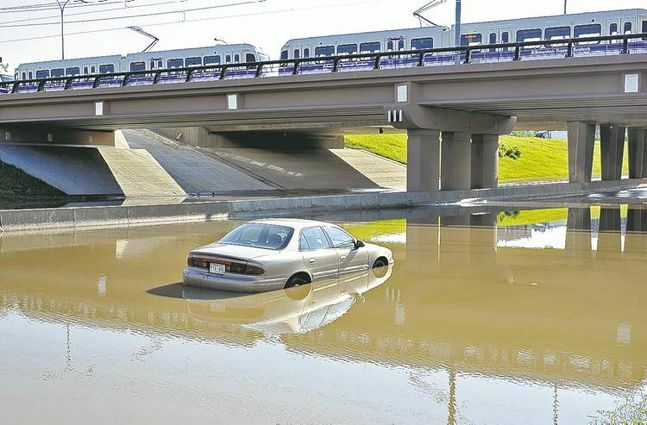 A number of drivers on an Edmonton freeway had to be rescued in a flash flood during a thunderstorm. Others abandoned their vehicles and waded out into chest-high water. No one was hurt when the thunderstorm packing heavy rain, intense lightning and hail struck the Alberta capital city early yesterday. Residents in many neighbourhoods reported local flooding caused when storm drains couldn’t handle the runoff. Environment Canada reports more than 70 mm of rain fell in the city on Thursday – almost the amount that falls during the entire month of July. 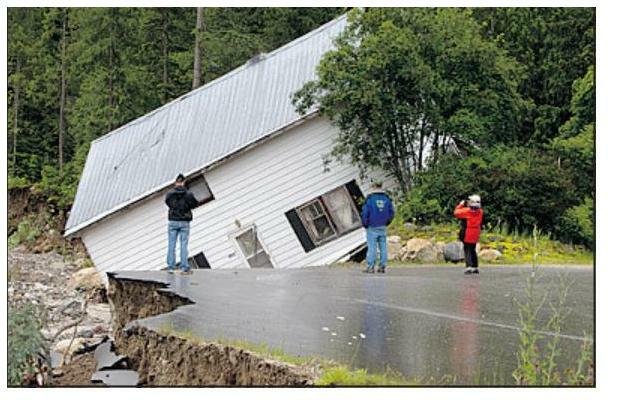 Rapid snowmelt and recent wet weather has caused rivers and streams to spill their banks in Interior British Columbia. Hardest hit has been the town of Sicamous, north of Kelowna, where hundreds have been forced to evacuate and one person has been killed. At least one home was swept away and dozens more homes and cars have been damaged in flash floods. The region depends heavily on summer tourism with marinas, boat rentals, motels and shops all suffering as a result of the flooding. Rain came down in buckets over the American Northeast on Sunday. New York’s JFK airport recorded almost 200 mm of rain (7.8 inches) yesterday which is an all-time single day rainfall record. In other words, forecasters say nearly twice the normal monthly rainfall was delivered in one day. Just east on the Atlantic Ocean at Lido Beach, New York, more than 275 mm of rain was recorded. The so-called conveyor belt of wet weather caused flash flooding in New York City, disrupting traffic, buses, flights and even the subway when transit workers were forced to pump water out of the system. 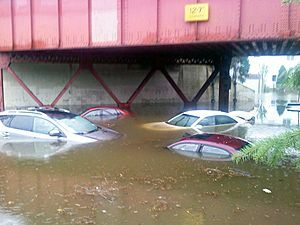 Southern New Jersey was drenched with almost 300 mm of rain and flood watches were posted from Pennsylvania to Massachusetts.